ReNu MultiPlus are rewetting eye drops made by Bausch and Lomb to provide moisture for soft contact lenses and to ensure relief for dry and irritated eyes. 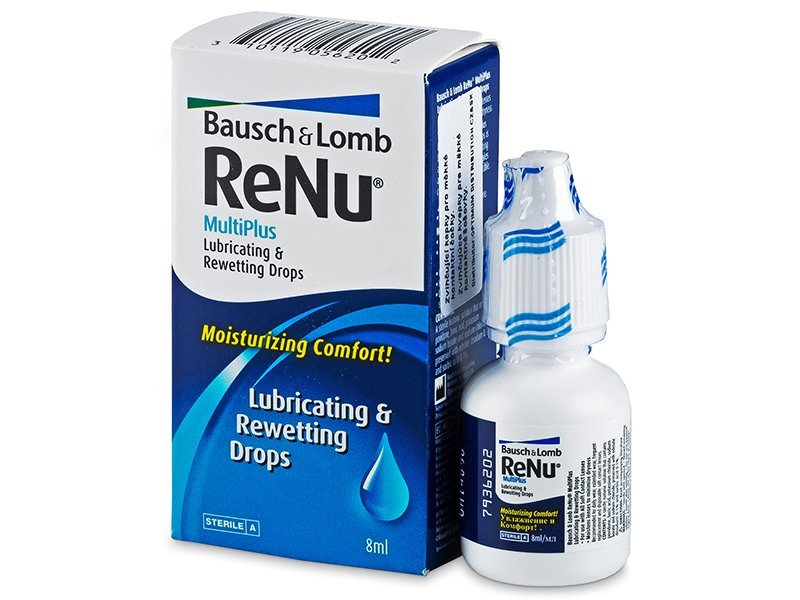 Renu MultiPlus rewetting eye drops are made by Bausch and Lomb for the purpose of increasing the moisture of soft contact lenses. These eye drops provide relief for dry and irritated eyes and enhance the comfort of contact lens wear. Discontinue use of eye drops 30 days after opening. 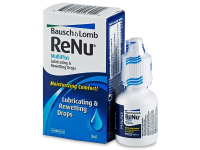 Renu MultiPlus Rewetting eye drops are suitable for all kinds of soft contact lenses. These eye drops also provide adequate moisture for continuous-wear lenses. Do you suffer from dry or red eyes? Renu MultiPlus eye drops help minimise the discomfort associated with dry eyes. They provide sufficient lubrication for contact lenses, especially in windy or cold weather conditions, or in dusty and dry environments. Apply eye drops slowly and carefully whenever you have an unpleasant or irritating sensation in the eyes.